The Art of Fred Sandback: A Survey. Krannert Art Museum, University of Illinois, Champaign-Urbana. March 9–April 14, 1985. 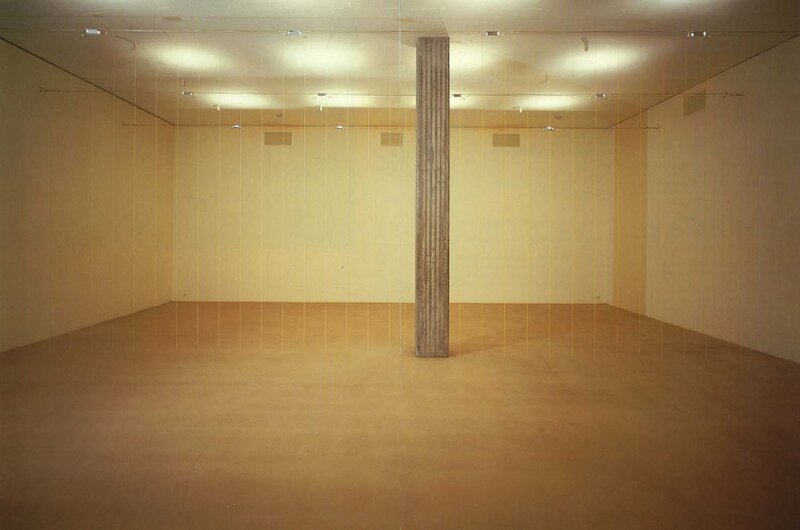 Fred Sandback: Skulpturen, Installationen, Zeichnungen. Kunsthaus Zürich. May 25–July 21, 1985. Fred Sandback. Liliane & Michel Durand-Dessert, Paris. May 30–June 29, 1985. Fred Sandback. Marian Goodman Gallery, New York. September 10–28, 1985. Drawings by Sculptors. Brooke Alexander, Inc., New York. March 5–30, 1985. The Maximal Implications of the Minimal Line. Edith C. Blum Art Institute, Bard College, Annandale-on-Hudson, New York. March 24–April 28, 1985. Process und Konstruction—1985 in München. Künstlerwerkstatt Lothringerstraße 13, Munich. June 3–July 9, 1985. Oeuvres sur papier. Liliane & Michel Durand-Dessert, Paris. July 4–27, 1985. Editionen. Galerie Fred Jahn, Munich. October 1–16, 1985. Bild/Sprache: Eine Hommage. Galerie im Taxispalais, Innsbruck, Austria. October 8 –November 3, 1985. Portfolios. Brooke Alexander, Inc., New York. November 9–December 7, 1985. Vom Zeichnen: Aspekte der Zeichnung, 1960–1985. Frankfurter Kunstverein, Frankfurt am Main. November 19, 1985–January 1, 1986. Traveled to: Kasseler Kunstverein, Kassel, Germany, January 15–February 23, 1986; Museum Moderner Kunst, Vienna, March 13–April 27, 1986. Fred Sandback, Richard Tuttle: Drawings. Galerie Schiessel, Munich. 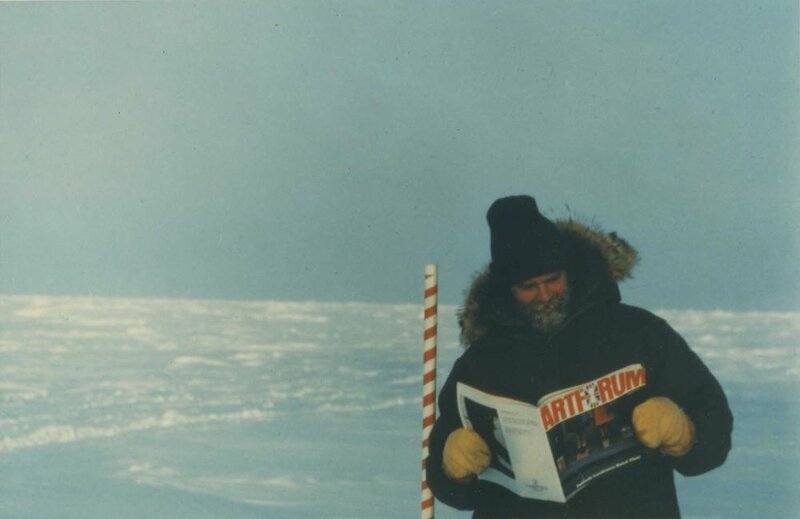 1985.
reading Artforum on his expedition to the North Pole.